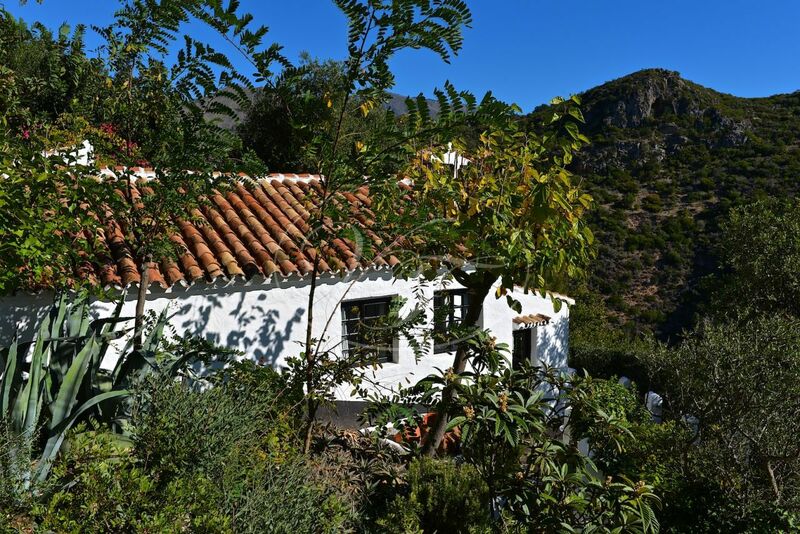 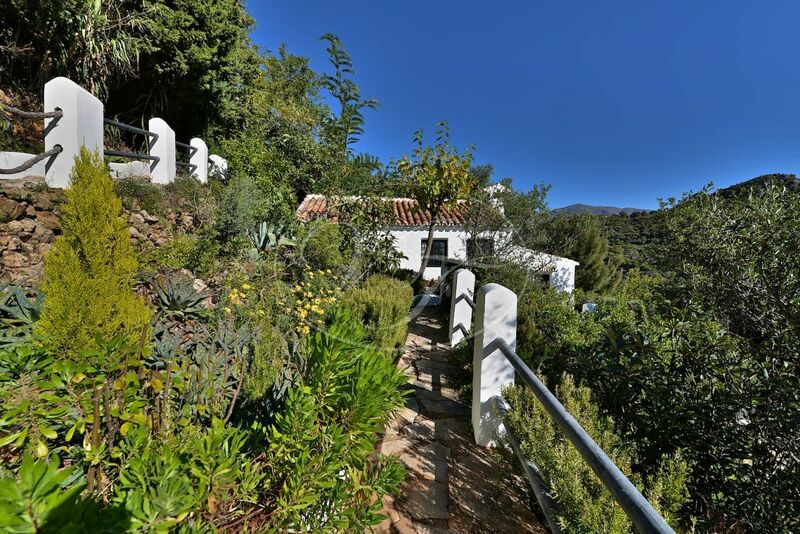 Country house with two guest houses and stunning sea views on the edge of the white village of Casares, Malaga, Andalusia. 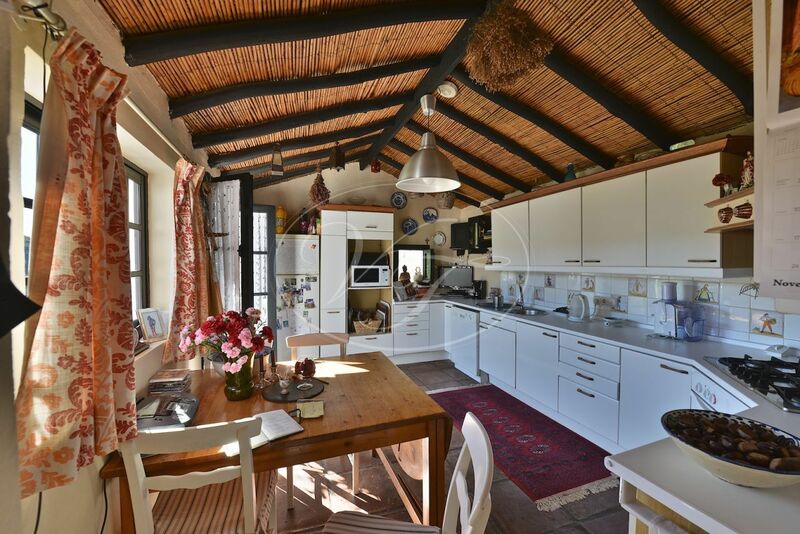 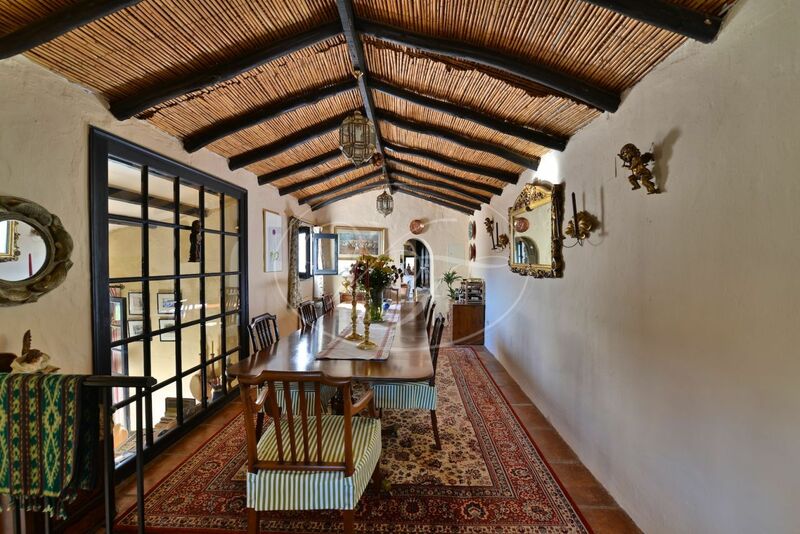 A special country property with panoramical views, set amongst impressive rock formations with views to the coast and Africa. 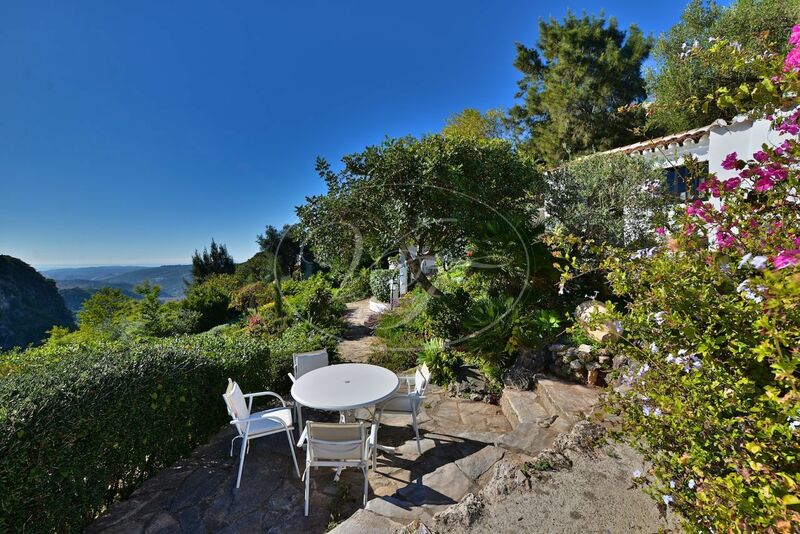 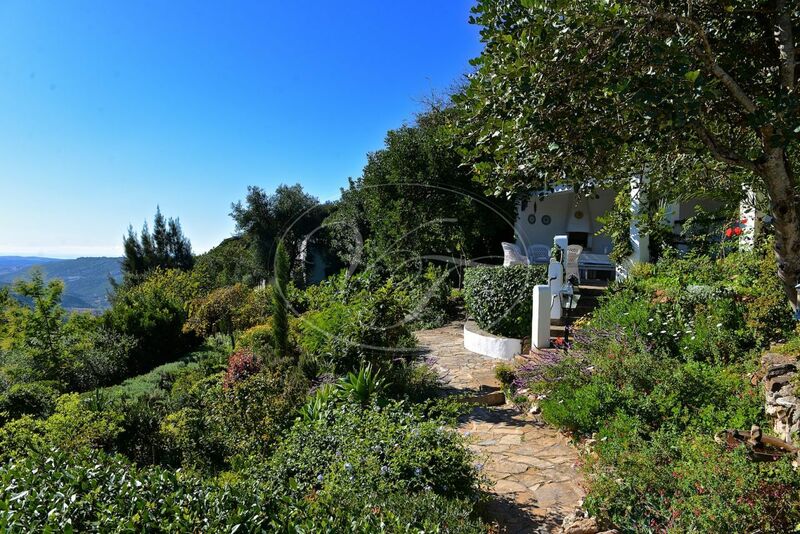 Well kept gardens with sun terraces, all with amazing views. 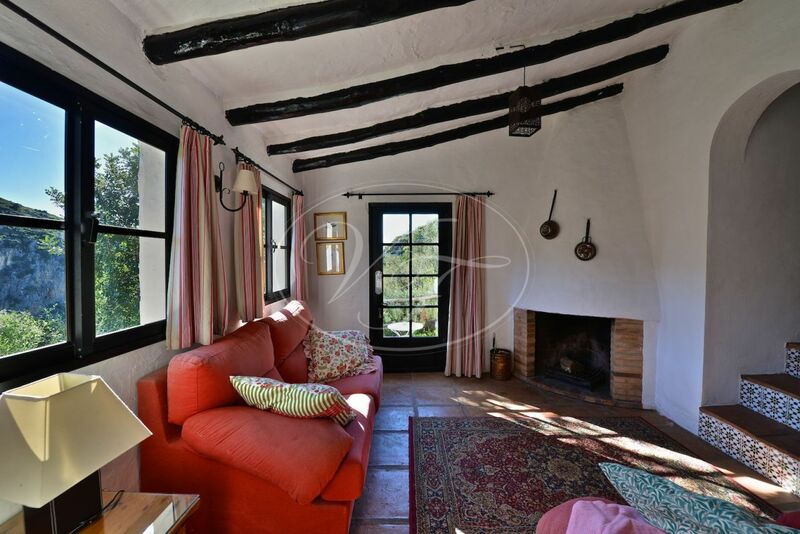 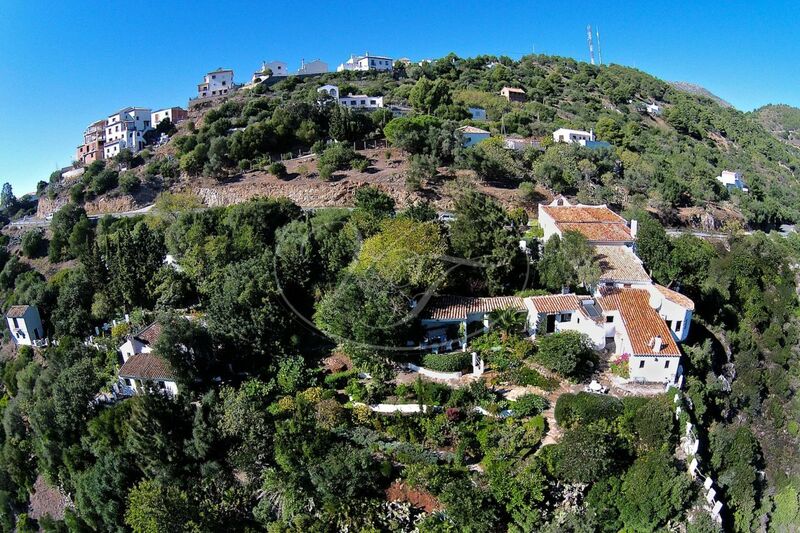 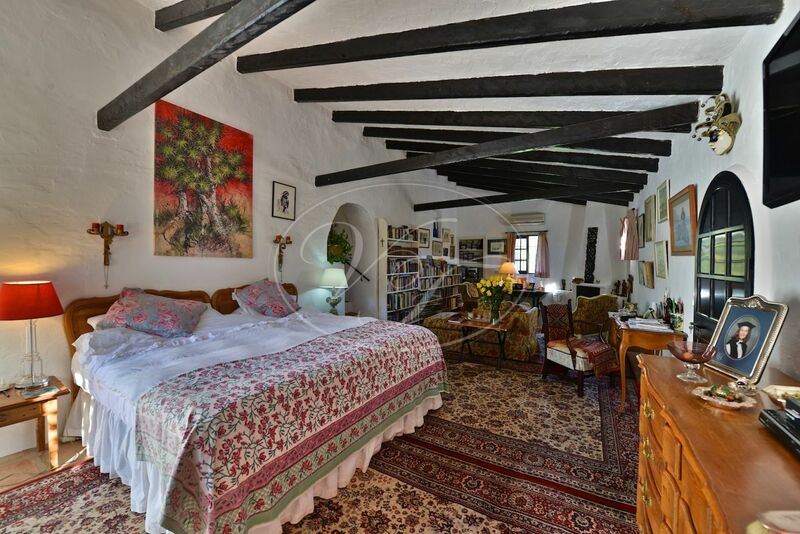 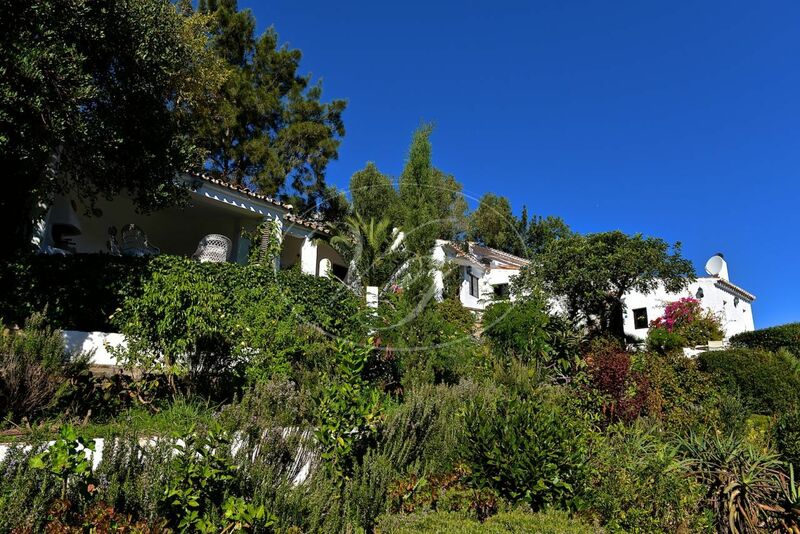 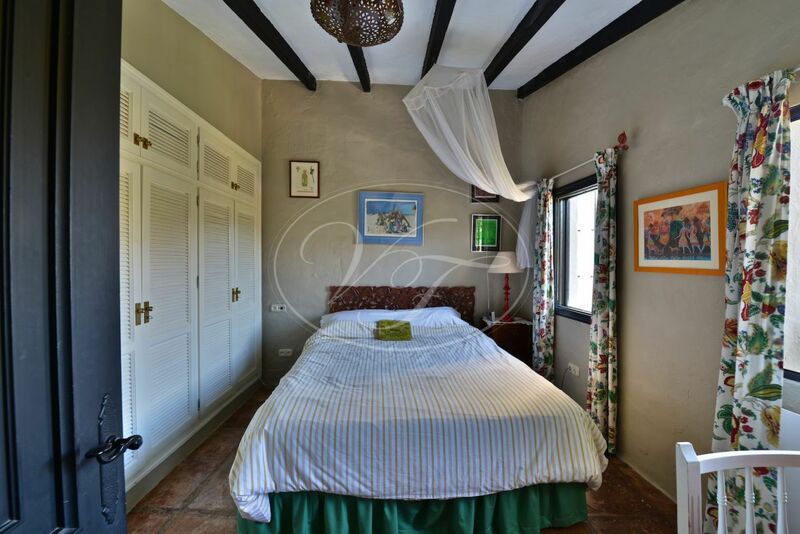 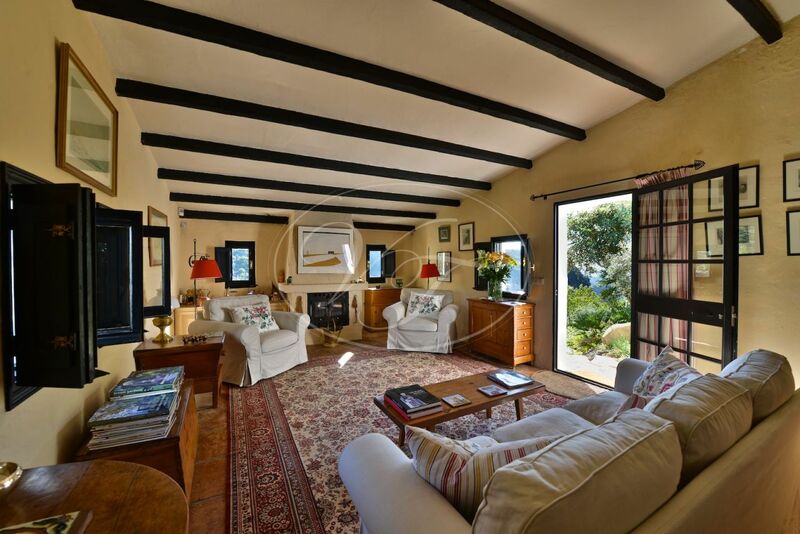 The property is within walking distance of the village of Casares and only 15 minutes from the beach. 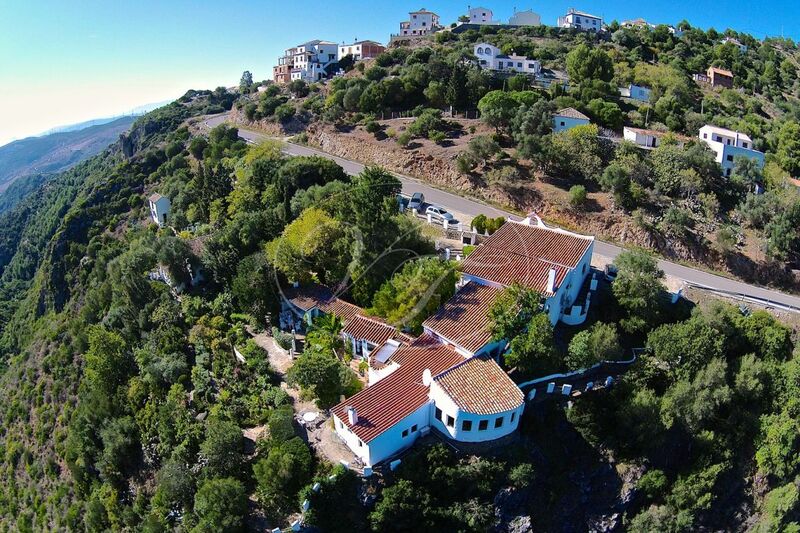 There are three houses on the property. 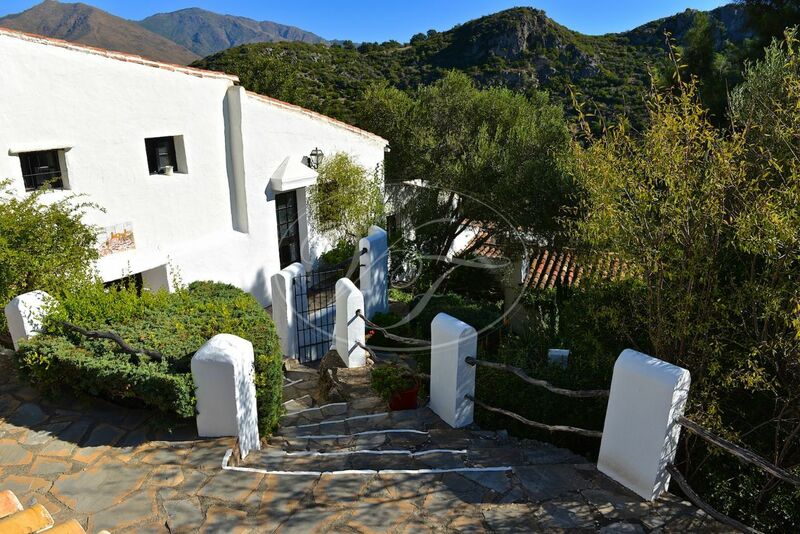 The main house has four bedrooms three bathrooms, two kitchens allowing the top part of the house to be used as separate accommodation with its own entrance. 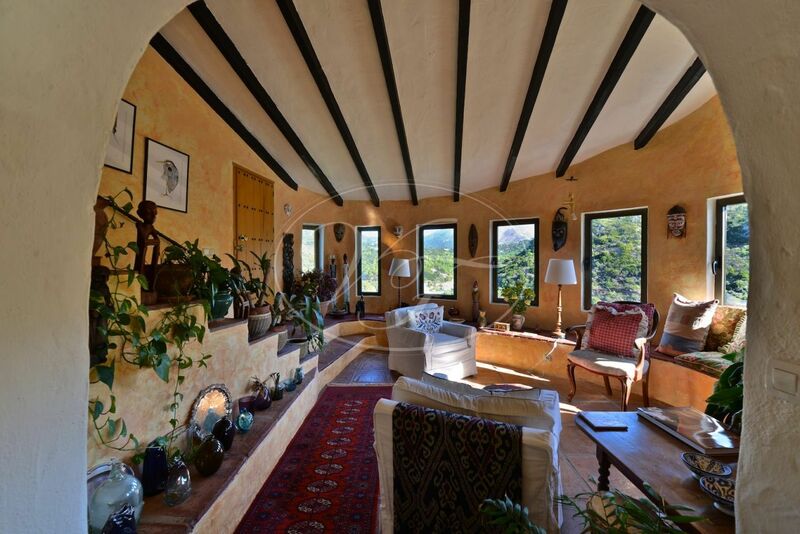 Furthermore a living room with an open fire, a rounded solarium with panoramic views and AC. 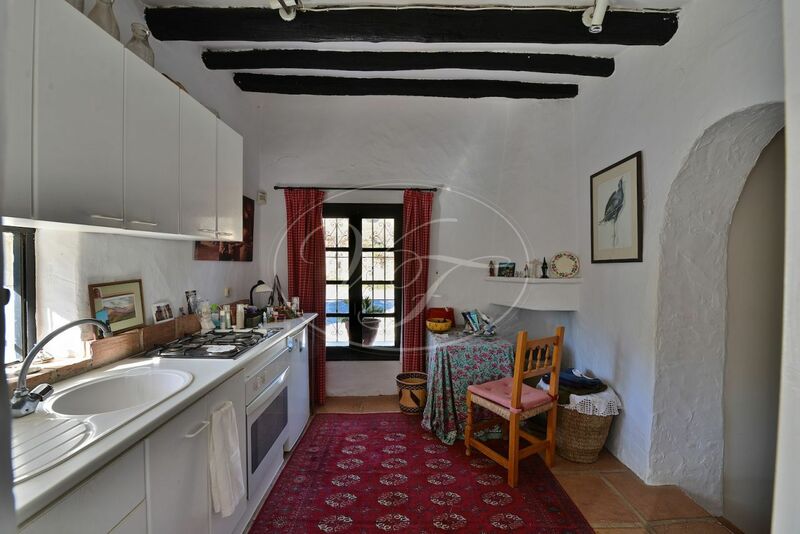 The main house also counts with a small garage, 5mx4m and a laundry room. 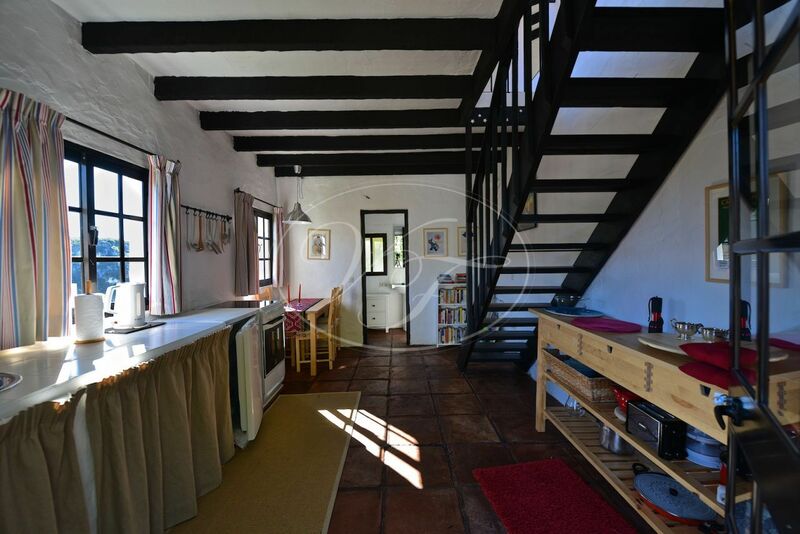 Winding paths through the garden lead to next cottage with three bedrooms two bathrooms, lounge and kitchen. 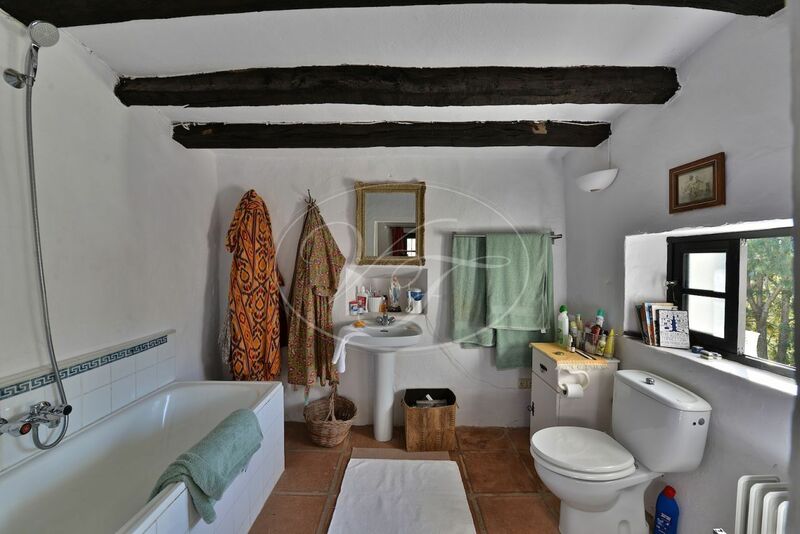 The third building is a small one bedroom cottage. 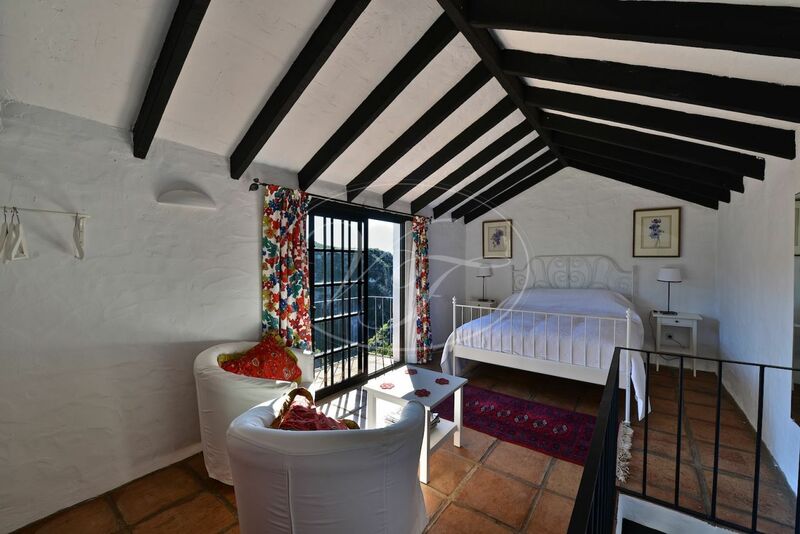 Both cottages have private entrances making them very suitable for rental accommodation. 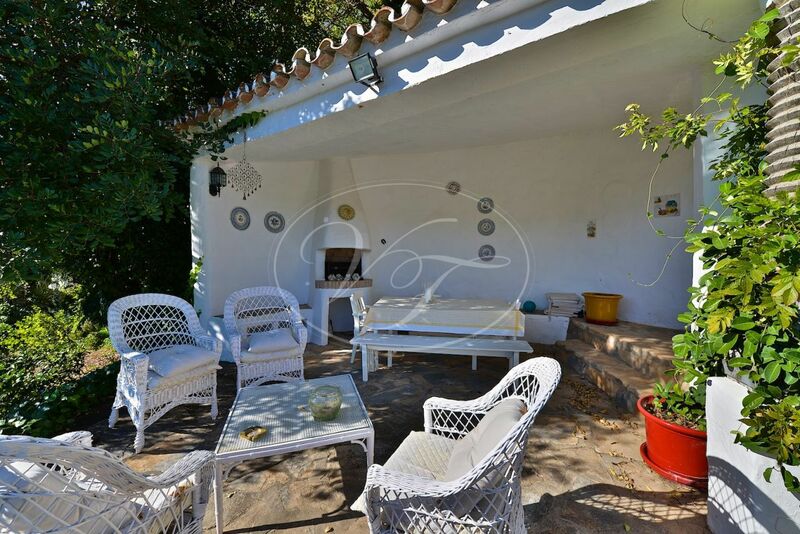 In the centre of the garden, you’ll find a covered lounge terrace with BBQ and a storage room. 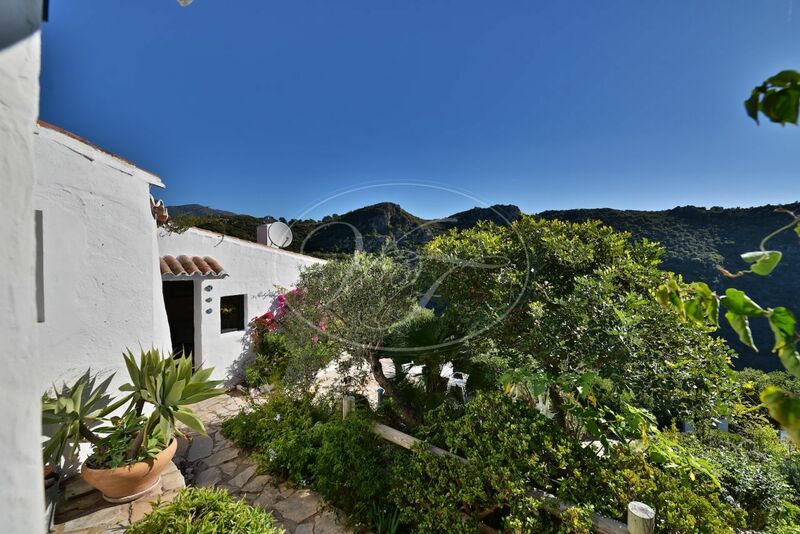 There is a nice plunge pool with sea views and various sun terraces. 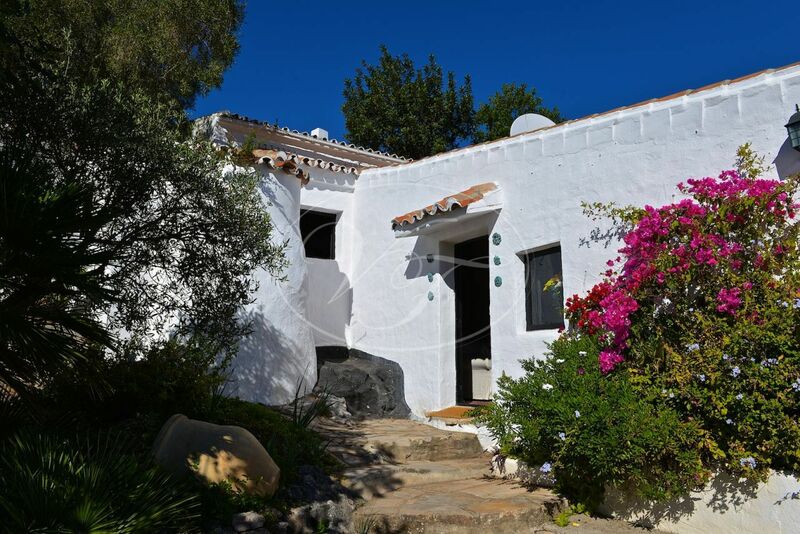 The property counts with the following services: telephone, wifi, mains water, extra water deposit of 16.000 litres, electricity, solar panels for hot water, fireplaces, electric wall heaters. 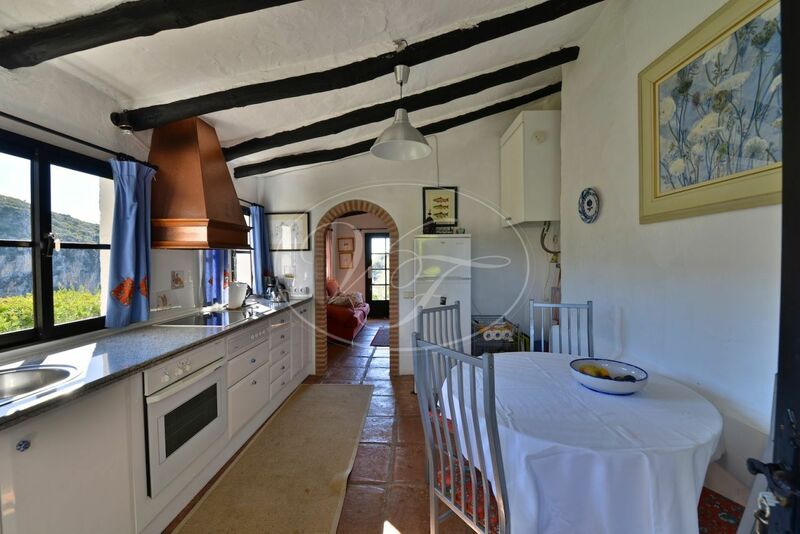 Ideal property with a rental income. 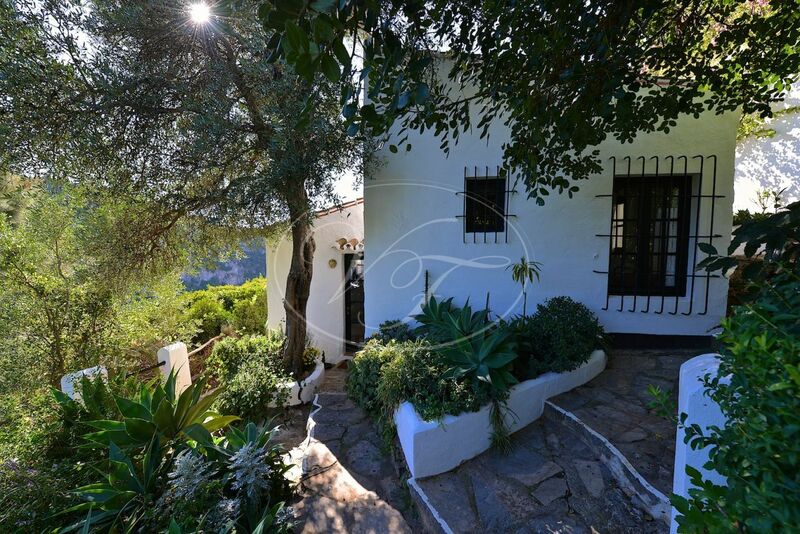 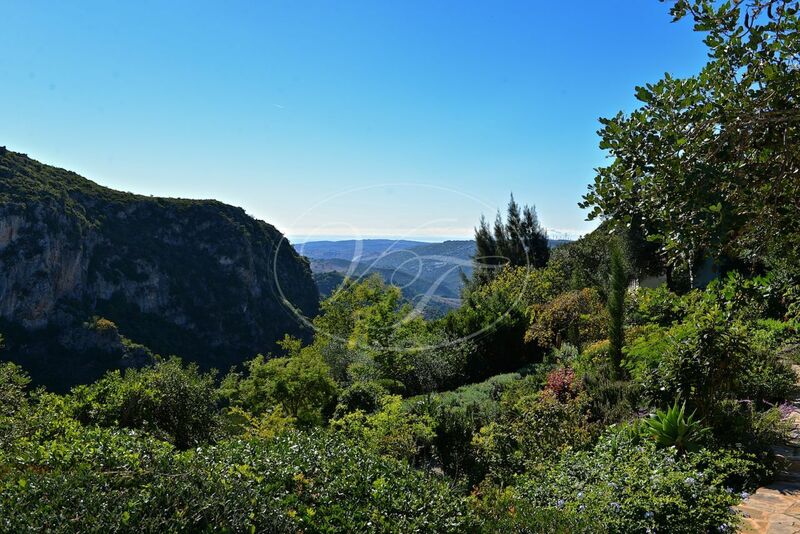 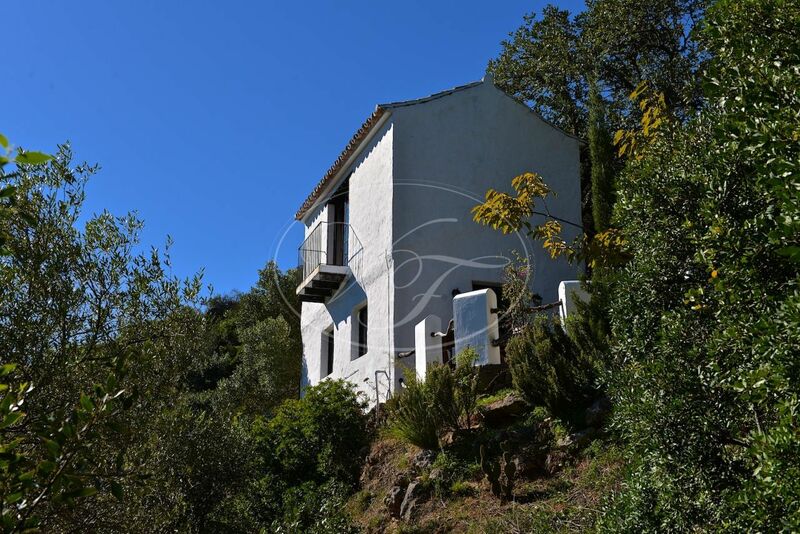 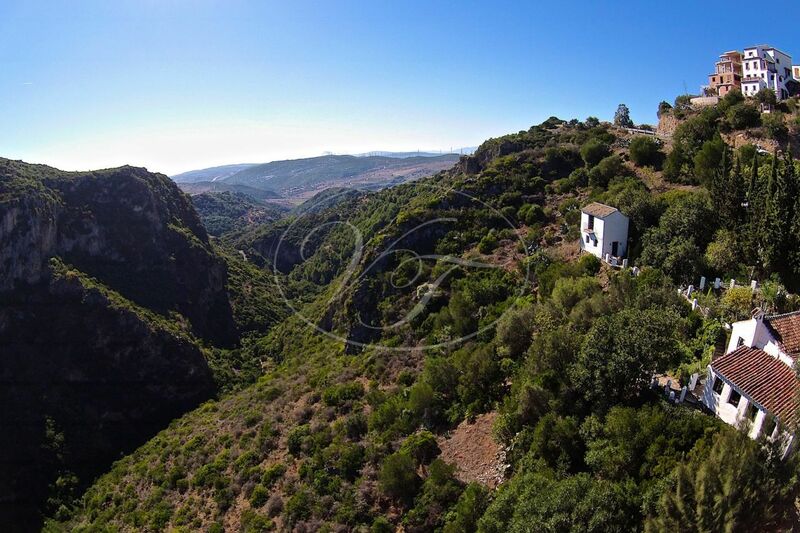 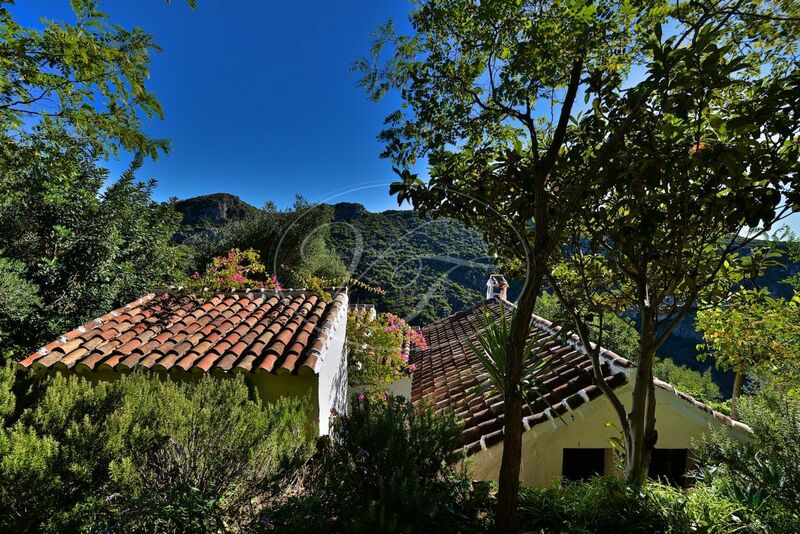 Please, send more information about ref 186-00424P, Finca in Casares or similar properties.